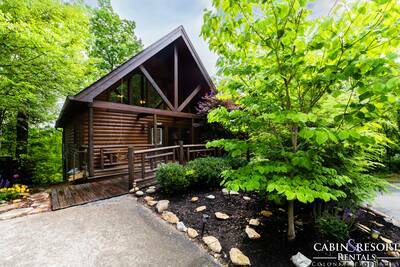 Welcome to WISH UPON A STAR, your enchantingly romantic Smoky Mountain Escape only MINUTES TO DOWNTOWN GATLINBURG. We have paid careful attention to your comfort, relaxation and enjoyment. There is a plush queen size bed in the loft bedroom with a romantic and relaxing jetted tub. Let your cares drift away relaxing in the private and romantic hot tub while enjoying panoramic views of Mt. LeConte. 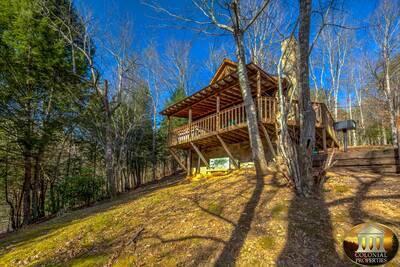 Enjoy the beautiful stacked stoned fireplace on those chilly Smoky Mountain winter nights with the one you love. You will also find a fully equipped kitchen, a charcoal grill just outside your door and a washer and dryer for your convenience. You may also enjoy playing pool on the full size pool table in the great room. At WISH UPON A STAR you will get away from it all while enjoying all the comforts of home and then some. Relaxing with your morning coffee while taking in the splendor or the mountains and the beauty of nature that surrounds you is unforgettable. You may also enjoy a stroll down to the clear mountain lake you will pass on the way to your cabin. 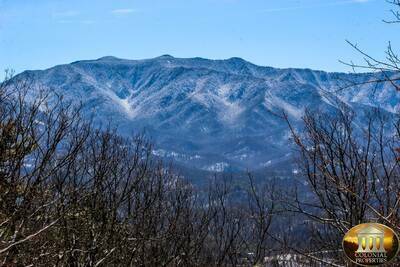 Let WISH UPON A STAR turn your dreams into reality with special memories, forever reminding you to keep coming back to YOUR special place in the Great Smoky Mountains. A: There is a property location map at the very bottom of the cabins individual page that will show you the approximate location. The cabin you are viewing will show a blue pin drop. A: Hi Jacob! Due to the location of this property WiFi is not available. A: Hi Mike! 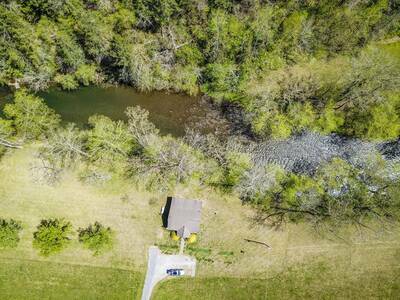 This is a 3 acre lake that is located within the subdivision. A: Yes, there is a shower. A: Hi Barbara! This cabin is located on a dead end road with two other cabins nearby. “ The pictures of the cabin is does not do it justice. It is so more beautiful if person. Colonial Properties went above and beyond our expectations and the overall experience could not have been any better. Because we had such a good experience we're already talking about coming back next year. “ The pictures of the cabin is does not do it justice. It is so much more beautiful if person. Colonial Properties went above and beyond our expectations and the overall experience could not have been any better. Because we had such a good experience we're already talking about coming back next year. “ The cabin was everything we expected it to be. Very clean and had all the amenities. I would most definitely book this cabin again. “ We thoroughly enjoyed ourselves. “ Stayed at wish upon a star for our honeymoon and can't say enough about how wonderful it was. We will definitely be returning every year for our anniversary. “ We had a wonderful time staying at Wish Upon a Star. The cabin was clean and the view was spectacular to say the least. This was our first trip to the smoky mountains and it did not disappoint. The only thing we wished we had done differently was book a few extra days so we could’ve seen more things. Our favorite part of the trip was hiking the chimney top trail and eating lunch on top of the large rocks in the creek. We also loved waking up every morning and looking outside at the beautiful view! We went whitewater rafting and took a trip on the sky lift which were both great. We loved coming back to the cabin every evening and grilling out after a long day out and about. We filled out evening with playing cards on the balcony and taking in the sounds of nature. We will definitely be back! “ Was very nice, and clean! We had a great experience in our 1st cabin! We had a great 1st Anniversary at Wish Upon A Star!! Great job guys!! “ We had a wonderful stay. The cabin was perfect and everything we wanted. The view is fantastic! Thanks! “ Cabin was clean and comfortable. Received all information via email timely. “ Fell in love with the cabin at first sight! The view was magnificent. There were so many things that were amazing about our trip but must say the drive up to Clingsmans Dome was breath taking. We are already planning our next trip. Thank you for making our honeymoon so special!